Due to no fault of the sellers, House is Back on Market. 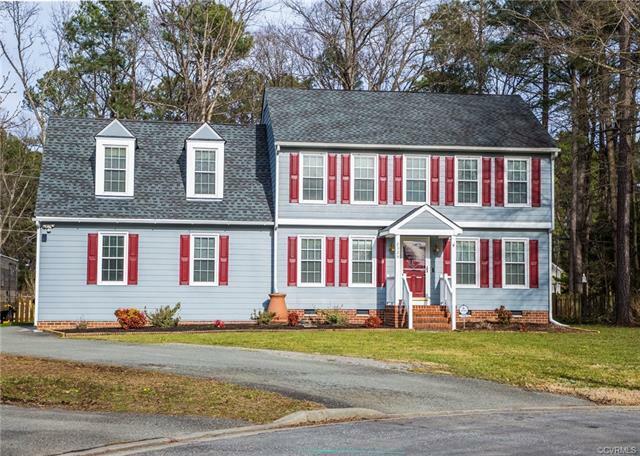 You will fall in love with this beautifully renovated home on a quiet street that is still close to the Short Pump area. You walk in to gorgeous Bamboo floors throughout the downstairs to a spacious Family Room where you enjoy natural light and a cozy fireplace that is central to the heart of the home. Renovated in 2018,your new Kitchen is light and bright with white cabinets and granite counters and all new appliances. Your pantry has tons of storage for all your cooking needs.You can sit and enjoy your eat-in kitchen with vaulted ceilings or use your formal dining room for all your entertaining. This home features a flex room downstairs that is perfect for any need you have. It would make an amazing home office,but with a closet and attached full bathroom you also have the perfect in-law suite!Upstairs you can enjoy your Master with attached en suite and walk-in closet. 2 other spacious bedrooms upstairs share another full bath. Over the garage is a huge finished bonus room that could be a perfect playroom for the kids or adults! Once you see the amazing space outside, you'll fall in love and never be able to leave!